Spend Veteran's Day in Savannah this year at one of the Romantic Inns of Savannah. Some of our inns are participation in a national Veteran's Day Promotion program entitled B&Bs for Vets.Participating Inns are providing a free night's stay to active and retired military personnel and vets plus one guest on November 10, 2011. During your stay at one of our Savannah bed and breakfasts, you may wish to attend Savannah's Veteran's Day parade on November 11th. Then be sure to make time to visit The Mighty Eighth Air Force Museum. Special admission rates will be given on November 11th for military veterans and active military personnel. Also, Fort Pulaski National Park, located 15 miles east of Savannah, is waiving all entrance fees Friday, November 11th through Sunday, November 13th. A variety of programs and activities are scheduled throughout the weekend at the Fort, including a special military tribute to veterans on Saturday, November 12th. Visit the B and B for Vets website for additional details. Stay at Savannah Lodging during the Rock N Roll Marathon Series on November 5, 2011 and you can relax your cares away in luxurious style after a busy day whether you ran the race or not. There are both a 1/2 Marathon and a full marathon for participants to choose from. The start line for the race is Bay Street & Bull Street with the finish line at Forsyth Park and the begins at 7:30 am. Runners will start in heats based on experience level and estimated finish time, for more information click here. 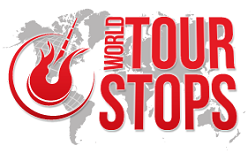 Musicians who will be all along the course are going to rock and roll the runners as the go by. Later that night, Carolina Liar the headliner concert will take the stage. It is a family fun event that you wont want to miss as a spectator or participant so be in Savannah on November 5 and find your Savannah lodging here. 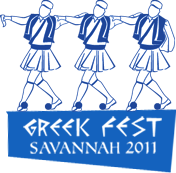 A fun and exciting Savannah vacation idea is the 60th Annual Savannah Greek Festival this October 13th - 15th, 2011. This years festival will be the largest and gradest Greek Festival in Savannah history. The annaul event will feature Greek food specialties, traditional dancing, church tours of the St Paul's Greek Orthodox Church, a market place and a live band. To download the menu, Click Here. The festival begins on Thursday, October 13th and ends Saturday, October 15th and is open from 11am - 9pm each day of the event. The festival will have FREE admission until 4pm on Thursday and Friday with a $2 donation after 4pm both days. Saturday will have a requested donation of $2 all day. Take a Savannah vacation in mid-October to take part in the 60th Annual Savannah Greek Festival and stay at one of these fine Savannah Bed and Breakfast. The 7th Annual Tybee Pirate Festival, October 6th - 9th, 2011 is one of this years Tybee Island Events your family will not want to miss out on. Swashbucklers of all ages will be setting sail for Tybee Island to join in the merriement of this years festival during Columbus Day weekend. Whether your discovering Pirate Fest for the first time or your coming back again you will not be dissapointed with this years Tybee Pirate Festival. Events include a Pirtate Victory Parade, Live entertainment, Costume Contest, childrens activities and the Thieves Market that will be filled with treasures, grog (beverages) and grub (food).